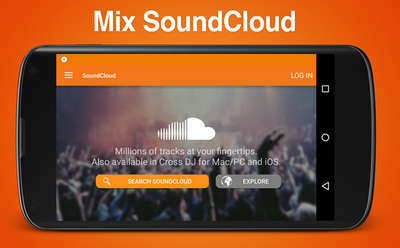 Mix your music on the go using the powerful features in Cross DJ Pro APK v3.0.2, the defacto DJ app for Android phones and tablets. 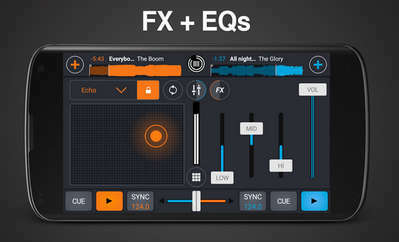 Its highly intuitive interface, unmatched audio performance, and outstanding sync engine, make this app the perfect solution for any professional or amateur DJ out there. - Full compatibility with devices running Android M.
- MIDI control is now compatible with Android M.
- Cross DJ 3.0 for Android supports multichannel audio on devices running Android Marshmallow. - Design improvement: a scroll bar has been added to the library, making navigation through the songs much easier.